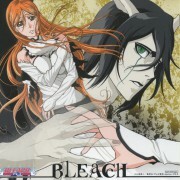 Browse Bleach Gallery: Recent | Popular. Thanks for the scand! *o* Amazing! AWESOME! Ichigo looks so cool! 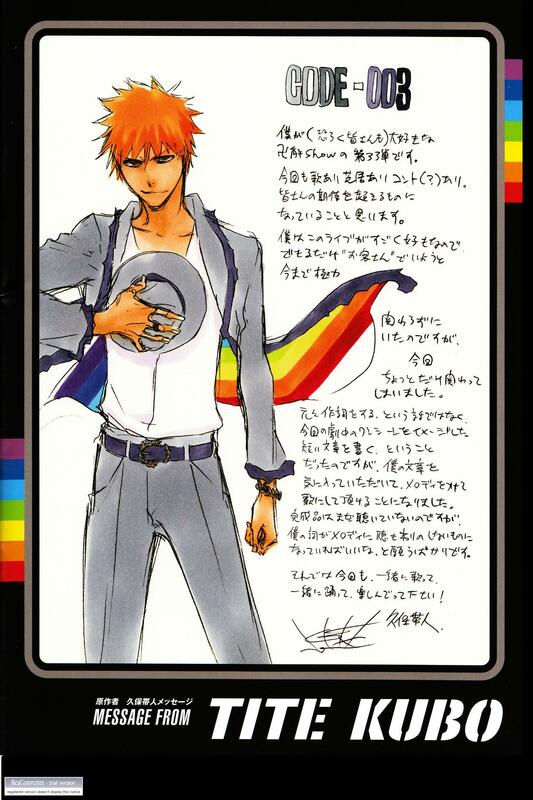 ..but what does the message from Kubo-sensei say? o.O?!?!?!?!? Code 003! XDDDDDDD can't wait to watch! i love this scan! thanks so much for sharing! This is beautiful! I always love Kubo-sensei's somewhat sketchy work: so elegant. Thank you! The scetches in the massages are always so awesome! lol Ichigo has rainbow uner his coat. Great scan. he has a curious smile...but I like it^^! Thanks a lot 4 sharing! oh is my heroooo only my ok? Thank you very much for this picture. omg! this is awsomeee! i love his work! thanks for sharing~~!